← Zerowait’s NetApp Support is a Winner! Relax, Zerowait has the Answer! Concentrate on what’s important and let Zerowait worry about your Storage infrastructure. Whether you’re looking for an easy, affordable solution for NetApp support, additional NAS or upgrades, or special purpose storage, Zerowait is the storage partner that understands your storage requirements. We’ve been supporting NetApp equipment for over 20 years, and we know how to maximize your storage ROI. Zerowait’s storage engineering and technical support is recognized around the globe as the best in the business. Why struggle to find an answer to a question on Google or NOW? Why waste your time looking for a solution that already exists? NetApp customers have learned that Zerowait’s engineers have the answer and the documentation to help you get the most out of your systems. When you support the number of Filers that we do, for as long as we have, you’ve seen just about everything. Zerowait has been helping clients purchase, upgrade and maintain NetApp equipment for 20 years and migrating them to our SimplStor Platform, configured to their requirements, for almost a decade. Are you ready for a change? ONE — Want to Extend Your Holiday? 7-Mode Special: Start any new support contract for a NetApp 7-Mode system and get 15% off annual pricing. Applies to old and new customers. New system contracts only. TWO – Wish You Had A Bigger Cooler? THREE – Looking to Upgrade Your Accommodations? 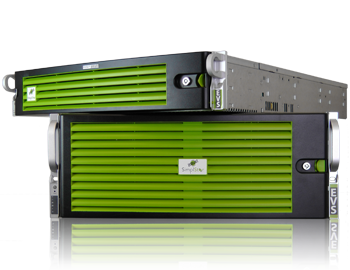 120TB SimplStor Linux Server – $17,995: This 2U server offers 2x480GB SSD caching block plus 10x12TB SAS drives for Optimum Performance and Density. Need more storage? Includes CentO/S, CacheCade and configuration. Includes First Year SimplSupport — monitoring, 24/7 access to engineering, NBD (Next Business Day) Part replacement. Over the last twenty years technology has changed, and many storage and networking market leaders have come and gone, but Zerowait continues to grow because we put our customers’ requirements first every day. To set up a conference call to discuss your storage and support needs, please click on this link to contact us with a time/date, or simply give us a call at 888.811.0808.